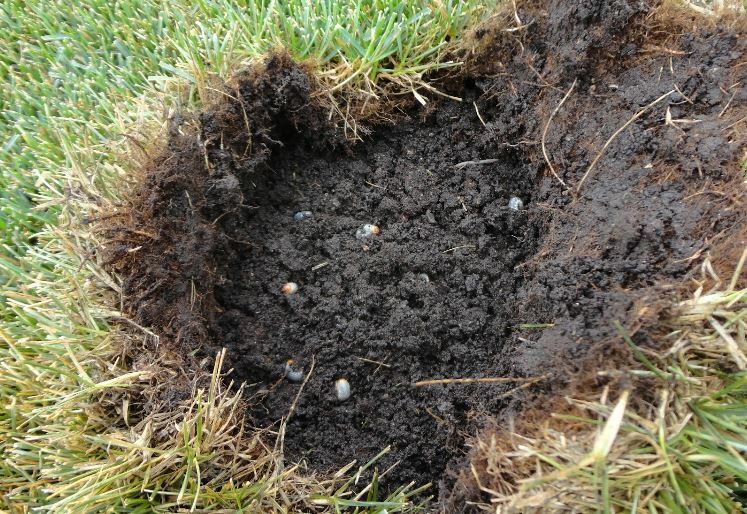 Removing white grubs is a specialty of ours, while the damage is done, actively feeding grubs can be treated. A curative treatment applied by a Weed Man licensed professional quickly controls actively feeding grubs that can appear in Spring and/or Fall. White Grub treatment must be watered in to be effective. Children and pets may play on treated lawns after the product is watered in. The treatment will not revive the damaged grass nor will it prevent skunks from digging in your lawn for a grub snack. Overseeding is recommended in these areas. For those worried about having a white grub infestation, we offer white grub prevention treatments. Generally, preventive white grub treatments are more affordable than curative programs and provide you with peace of mind throughout the summer months. Once a lawn has been targeted by pesky white grubs, a preventive program is advised by Weed Man professionals. This treatment to prevent white grubs must be watered in to be effective. Children and pets may play on treated lawns after the product is watered in. White Grub Prevention is far more effective than the removal of white grubs, so we humbly insist you go with a White Grub Prevention Service. With over 45 years of experience when it comes to quality lawn care, our highly skilled team of lawn care professionals will handle any weed, diseases, pests infestation and rejuvenate your lawn back to it’s glory days.